The Blanket Wrap was created to promote the wonders that Lesotho has to offer. You probably know it as that small landlocked country in the middle of South Africa? Yes that one..
Lesotho (Le-sue-to) also known as “The Mountain Kingdom” or “The Kingdom in the sky” is a fantastic destination for adventure lovers. 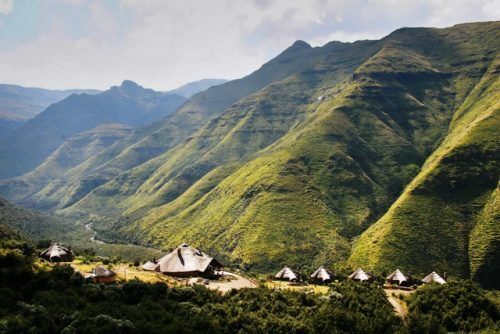 If you have never considered Lesotho as a destination for one of your vacations away, now is the time to find out what you have been missing out on. It is our hope to keep our readers up to date with that latest comings and goings on from Lesotho and the surrounding areas. From festivals, destinations, activities and events, there is not a dull moment to be had during your stay in the Mountain Kingdom. This blog, as well as the Blanket Wrap, maintained and managed by Maliba Mountain Lodge. All dates are accurate at the time of posting and may not be valid at the time of reading.